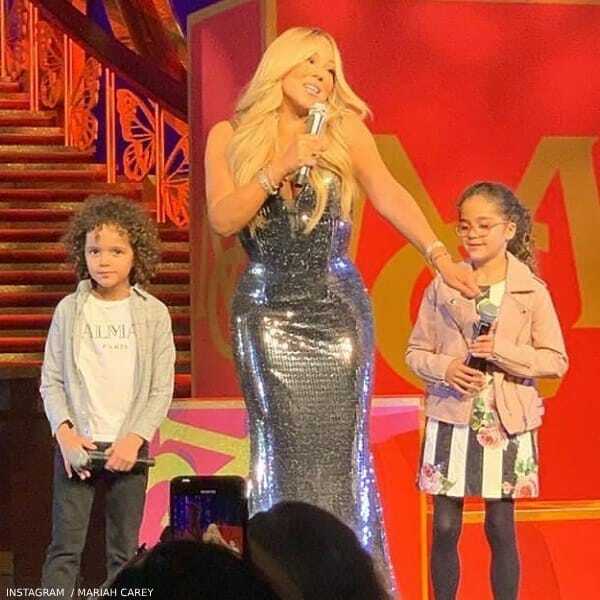 Cute photo of Mariah Carey with her twins on stage during her concert posted on Instagram. Love the outfit worn my Mariah’s daughter Monroe Cannon! This gorgeous DOLCE & GABBANA Girls Mini-Me Rose Black Stripe Sun Dress is from the Spring Summer 2018. Inspired by the Dolce & Gabbana Women’s Love Christmas Collection, Monroe looks adorable wearing this pretty sundress made in fine cotton and has a pink rose and black stripe print. Monroe completed the look with a stylish pink biker style jacket and a pair of tights. Twin brother Morocco wore a trendy Balmain white t-shirt (available online), a button-down shirt and a pair of jeans. 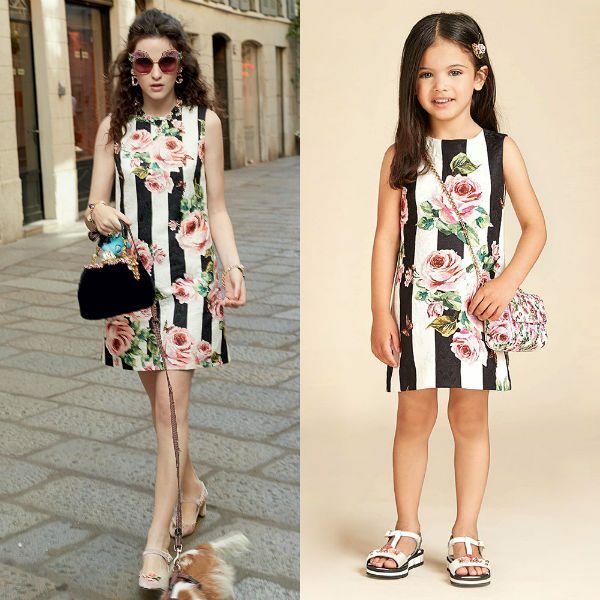 This DOLCE & GABBANA GIRLS MINI ME BLACK STRIPE ROSE DRESS is sold out but you can shop similar D&G Girls Dresses from the current collection online. Ships Worldwide.